Back on January 9th, we covered Wilson's announcement of the new Wilson 803470 AG Pro-Quint Selectable amplifier at the Consumer Electronics Show in Las Vegas. Today, we're excited to announce that the Wilson Quint Selectable is finally available with the first amplifiers shipping today! 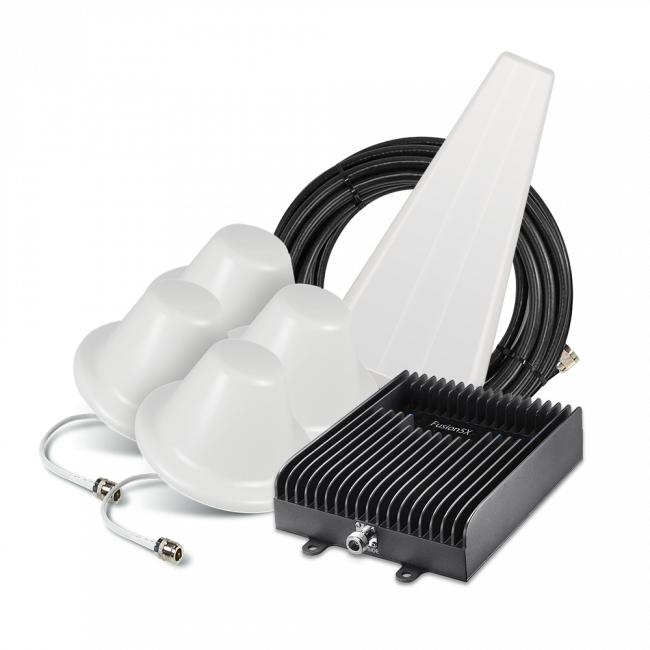 The Wilson Quint-Selectable is Wilson's first 5-Band signal booster that's capable of covering virtually every carrier in North America. However, unlike a true 5-Band amplifier, with the Wilson Quint Selectable, you must select between covering Verizon's 4G LTE network OR AT&T and US Cellular's 4G LTE network. The Quint Selectable can not cover both at the same time. The Quint Selectable is a powerful 75 dB amplifier which matches the power of the AG Pro 75 and becomes one of Wilson's most powerful amplifiers. Like all cellular repeaters, the total coverage area inside is highly dependent on the existing outside signal strength, but with a strong 4 or 5 bar signal, the Wilson Quint Selectable can cover up to 15,000 sq ft or more inside. With a very strong 5 bar signal (-60 or better) it's possible to cover up to 80,000 sq ft or area inside. 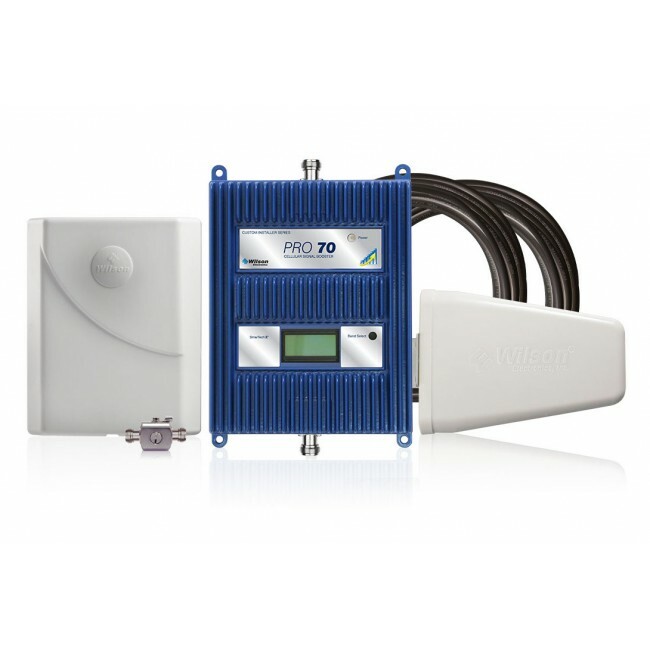 The Quint Selectable is Wilson's first wireless signal booster to combine all of the major frequency bands used by carriers in North America into a single amplifier. The Quint Selectable is made up of a standard dual-band amplifier (800/1900 MHz), an AWS amplifier (1700/2100 MHz), and two 700 MHz amplifiers (you select one using the amplifier configuration settings) into one single unit. 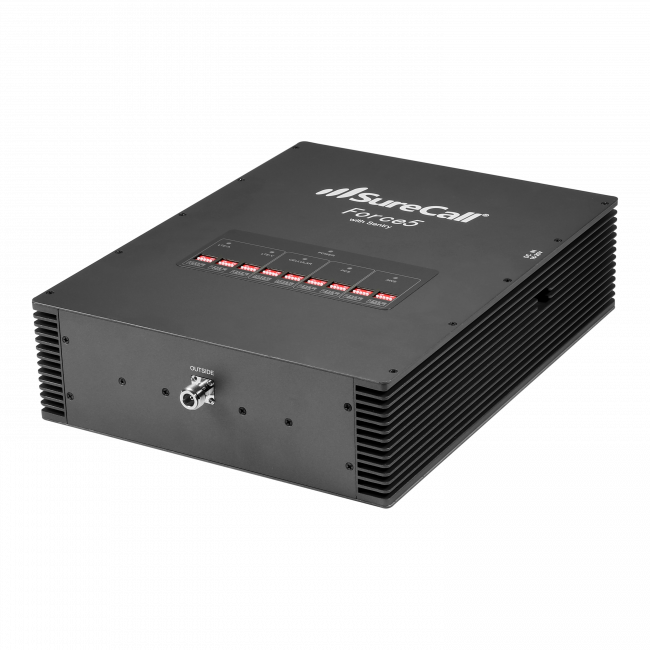 Supporting AWS, which is used by T-Mobile, MetroPCS, Cricket, and many Canadian Carriers, makes the Quint Selectable the obvious choice for businesses and public locations because it is the first Wilson amplifier to truly support all major carriers. 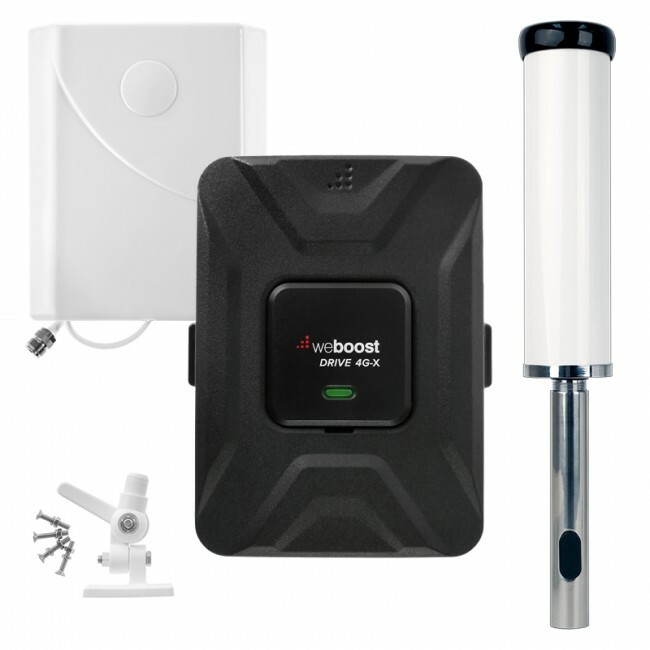 If you have a unique situation where a standard signal booster kit may not be adequate, we encourage you to call us at (800) 590-3564 and request a custom kit that will work for your individual situation. Or, you can fill out our large building custom kit request form and we'll create a kit that will work well for your space. For buildings that are relatively straightforward, we've created a set of standard kits based on the Quint Selectable. If you have any questions or need help choosing the best kit for your situation, please contact us. For more information on the Wilson 803470 AG Pro-Quint Selectable, check out the Spec Sheet and Installation and User Guide.